With large, double petaled blooms, Whirlybird Double Mix offers flowers that stand high above lush foliage, so you can enjoy every petal of stunning color! 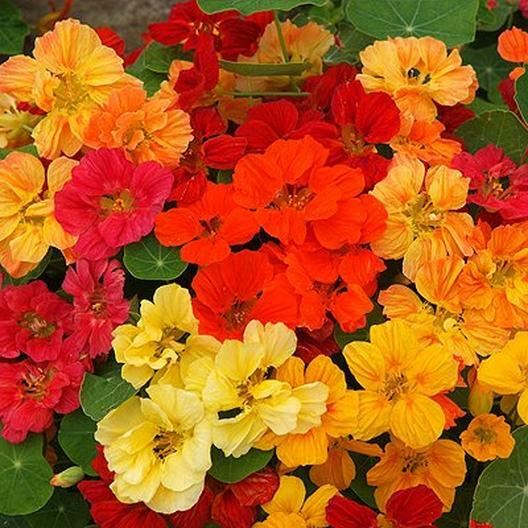 A mix of traditional, bright Nasturtium colors, Whirlybird Double Mix features reds, oranges, yellows and various combinations of the three. Be sure to soak your Nasturtium seeds overnight (about 12 hours) to help seedlings break through the tough outer shell.